We will be there with you every step of the way! Homeowner's insurance policies are required in the State of Colorado, and frankly, that's a good thing. They are a great way to protect yourself and your investment in your home. Unfortunately, when disaster strikes, the claims process can often be very frustrating, complex and confusing. That is why we specialize in working with insurance adjusters and guiding you through the claims process. You do not need to handle this process alone. Let us be there for you! Littleton Roofing Service has many years of experience working with all of the major insurance providers and know many of the local adjusters. We've worked extensively with Farmers, American Family, Geico, Progressive, USAA, State Farm and Farm Bureau, just to name a few. We've developed relationships and a reputation based on mutual trust and quality craftsmanship. 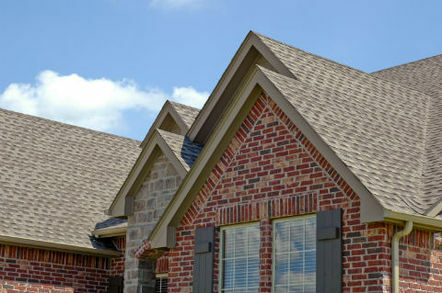 As a respected roofing contractor, We will ensure that your claim has the best chance of acceptance possible. Let us be your extra set of eyes. We know what storm damage can do to your roof. We will be up on your roof with your insurance adjuster making sure they don't miss any of the damage or dimples caused by wind, hail, snow or ice storms. Littleton Roofing is here for you! Is your insurance adjuster going to be at your house in the morning, afternoon, night or weekend? No problem! We will be available when they are. If you have been denied a claim give us a call ASAP at 720-545-0666 for a free evaluation. Let us work with you and your insurance company for a reevaluation and claim. Don't Wait! Let Littleton Roofing Service help you today! Set up my Free Appointment!